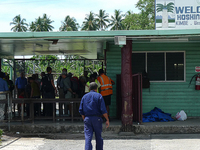 Travelers are voting Kavieng Airport, Chimbu Airport and Hoskins Airport as the best of 52 tourist essentials in Papua New Guinea. 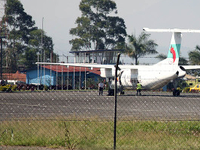 Also popular are Vanimo Airport in Lido, Buka Airport in Papua New Guinea and Goroka Airport in Goroka. Want more? Check out our map of tourist essentials in Papua New Guinea or these 4 tourist essentials in Mount Hagen. 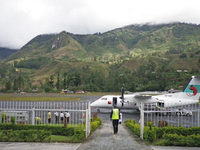 Chimbu Airport (IATA: CMU, ICAO: AYCH) is an airport serving Kundiawa, the capital of the Simbu Province in Papua New Guinea. 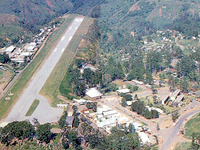 Hoskins Airport is an airport in Hoskins (on New Britain) in Papua New Guinea (IATA: HKN, ICAO: AYHK). 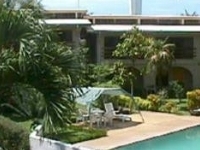 Mount Pago is 16 km from the airport. 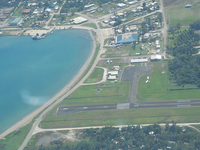 Vanimo Airport is an airport in Vanimo, Papua New Guinea (IATA: VAI, ICAO: AYVN). 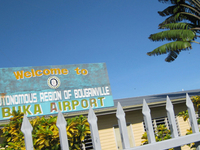 Goroka Airport is an airport in Goroka, Papua New Guinea (IATA: GKA, ICAO: AYGA). 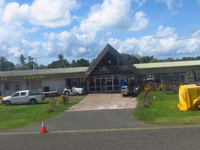 Mendi Airport is an airport in Mendi, Papua New Guinea (IATA: MDU, ICAO: AYMN).